From 18 – 21 October David Krut, Luke Crossley and Jacqueline Nurse represented the David Krut Projects team at Christie’s Multiplied art fair in London. 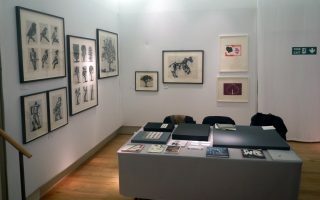 Multiplied is unique in offering only contemporary art in editions – from prints and photographs, to sculpture and artists’ books. 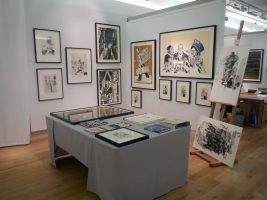 David Krut Projects presented editions by William Kentridge, Stephen Hobbs, Senzo Shabangu, Diane Victor, Jürgen Partenheimer and Whitney McVeigh as well as artist’s books by Hobbs and Partenhemier. In the portfolios on our tables, we also had unframed work by Kate McCrickard and Joe Hart to show to interested visitors. 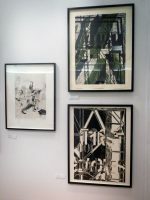 Here are a selection of images from the fair. William Kentrdige and Jürgen Partenheimer’s work at Multiplied. 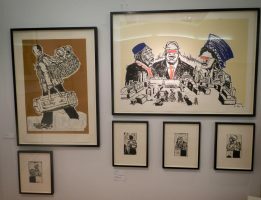 Senzo Shabangu’s work at Multiplied. Stephen Hobbs and Diane Victor’s work at Multiplied. 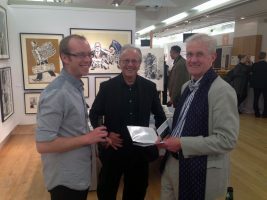 Luke Crossley, David Krut and Kevin Shenton at Multiplied opening evening. 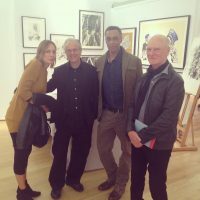 David Krut with Ransome Stanley and friends at Multiplied opening evening. 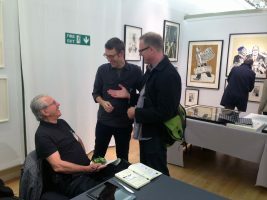 David Krut and Phil Sanders from the Robert Blackburn Printmaking Workshop in New York. 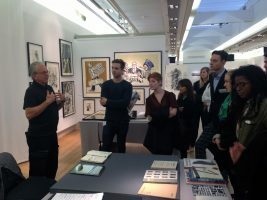 David Krut giving a history of the organisation and the value of print workshops to a group from Christie’s education programme.